London: Macmillan and Co., Limited, , 19213. 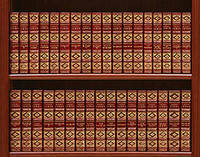 35 volumes, octavo (189 x 126). Contemporary red morocco, gilt decorated compartments to spines, marbled sides and endpapers, top edges gilt. Bookplate of Ralph Heinen to pastedowns. An excellent, attractively bound set, extremities a trifle rubbed. Large format edition of the final and most complete collected works, with additions and corrections to the New York edition of 1907. A smaller format "pocket edition" was printed from the same plates on appreciably thinner paper and is probably a separate impression. Berlin: Erich Reiss Verlag, 1921. Mit 10 signierten Original-Lithographien von Otto Baumberger. Erschienen in einer Auflage von 100 numerierten Exemplaren, hier vorliegend das Exemplar No. 53. Überaus großformatige und schwere Hardcoverausgabe, Pappband der Zeit,  Seiten mit Rauschnitt. Einband berieben. Innendeckel und Vorsatz stockfleckig, sonstige Seiten zum Teil etwas stock- und wasserfleckig. Pasadena : Carnegie Institution, Mt Wilson Observatory, 1921. Original Astronomical Photographs . No Binding. Near Fine/No Jacket. 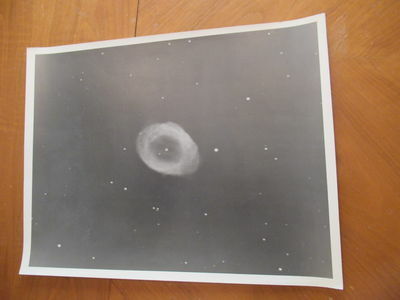 Original Astronomical Photograph Approximately 13 3/8" X 10". Fine. Mount Wilson Observatory Label On Verso, "Mount Wilson Observatory / G110 N. G. C. 6720, Lyra, Ring Nebula, Exposure 1 Hr., Sugust 5, 1921. 100-Inch Reflector. London: Egoist Press, 1921. Fine/Near Fine. First edition. Batik-style wrappers with printed label. About fine in near fine original unprinted glassine dustwrapper. Author's first book. 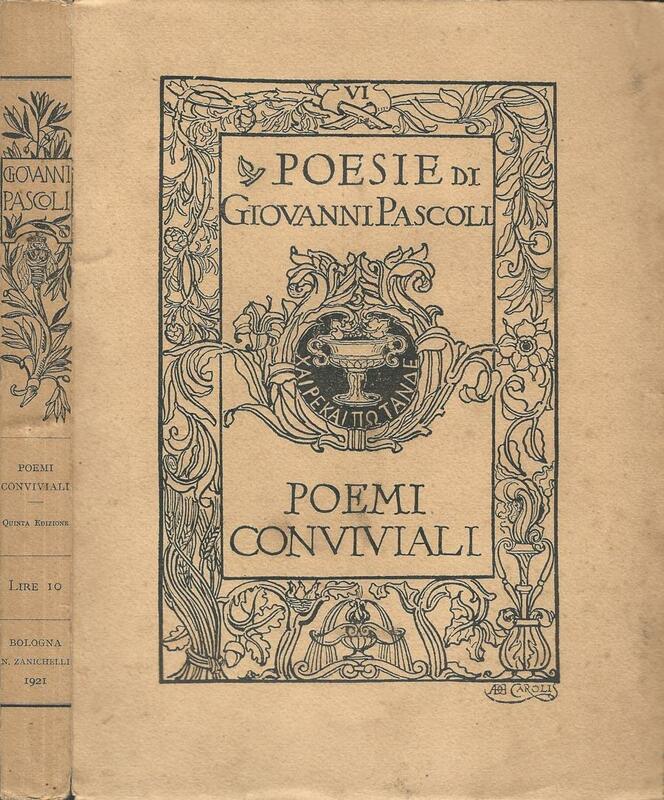 ZANICHELLI, BOLOGNA 1921 - POESIE DI GIOVANNI PASCOLI ITALIANO Volume sesto della raccolta con pagine lievemente scurite da fattore temporale. Stampa nitida. Tracce di fioritura alle pagine dell'occhiello e del frontespizio. Segni di impurità lievi al bordo della copertina. Lieve usura da scaffalatura. La libreria offre per un periodo limitato uno sconto del 20% su tutti i suoi libri. Il prezzo originale dell'articolo era 999,99 euro. T. F. Brown, Sydney 1921 - The poster advertises farmlets bounded by Great Northern Highway to the east and Wallarah Road to the south, bisected diagonally by Arizona Road. "Convenient, self supporting Farmlets suitable for poultry, citrus, tomato, tobacco, vegetables, passion, strawberries, olives. flowers. Average rainfall 46.18 inches." 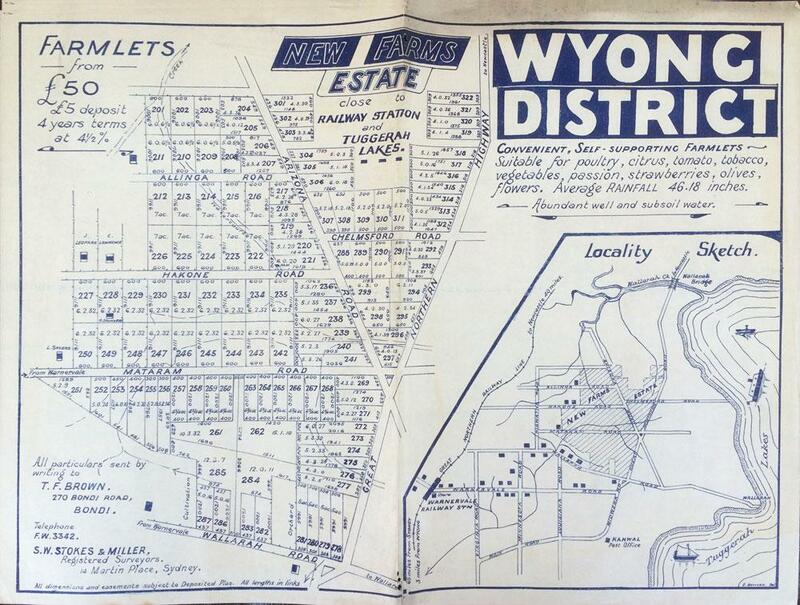 with a locality sketch at the right showing New Farms Estate in relation to Tuggerah Lakes and the Great Northern Railway Line. Approx 51 x 38cm, navy blue printing on cream paper, title at top. Very slt loss at center fold bottom edge, not affecting maps. H. Floury. Hardcover. Paris, 1921. 4to, half morocco over cloth, 273 pp. With an original drypoint "Jeunes Filles Fleurissant Leurs Chapeaux" facing page 226, in fine condition. 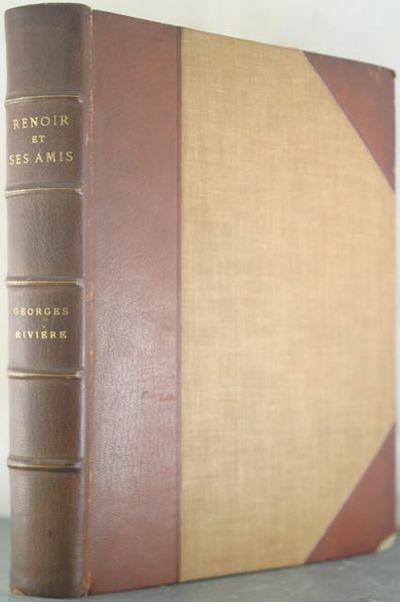 Original lithographed cover, "Tete de Jeune Fille," bound in. An excellent copy with some light normal toning to contents and wear to corners of boards. Drypoint is fine with no notable flaws. A scarce illustrated title, with 95 additional illustrations, including twelve in color. Please contact us for additional pictures or information. . Very Good. 1921. First Edition. New York: Charles Scribner's Sons, 1921. Limited First edition. Hardcover. g- to vg. This is one of fifty copies for which Mrs. Abbey has supplied an original drawing, bound in as a frontispiece in volume I. xiii, 267 (1)pp., ix, 269-518 (1)pp., 200 plates with printed tissue guards. Original tan half cloth over blue boards with black lettering on tan labels of spines. 2nd frontispiece portrait. &#11;&#11;Monumental biography of the American muralist, illustrator and painter Edwin Austin Abbey, known for his Shakespearian and Victorian subjects, by the English biographer, playwright, poet, novelist and publisher E.V. Lucas. 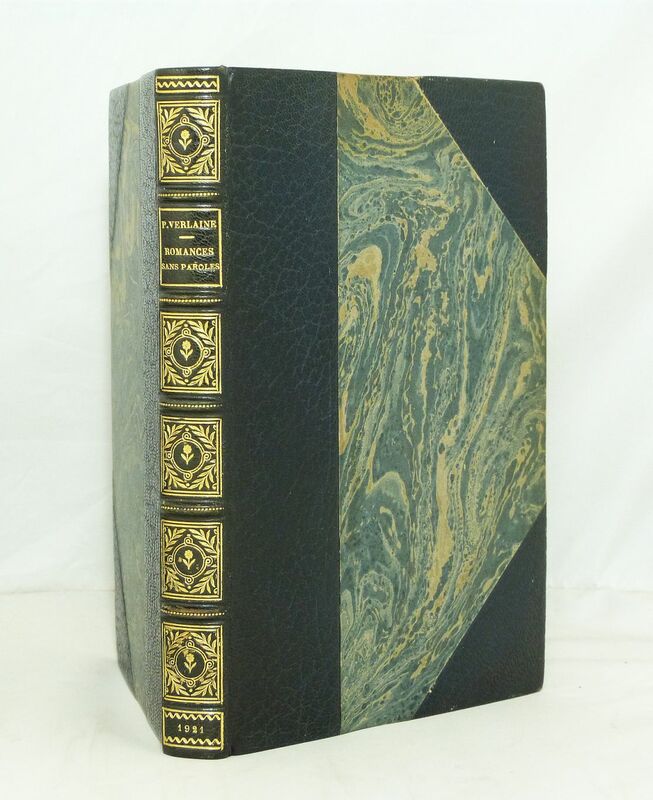 Extensively illustrated with 200 striking sepia toned engravings with printed tissue guards of Abbey's work and reproductions from daguerreotypes with additional in-text drawings. Abbey was a full member of the Royal Academy, London, and elected to the National Academy of Design, New York, as well the The American Academy of Arts and Letters, New York.&#11;&#11;Binding of volume I. with some wear along edges and spine, rubbed and quarter inch chips across head and tail of spine with chips at printed label on spine, tiny loss of the "k" of work and lightly sunned. Some pages uncut at foredge and a few unopened at front. Volume II. with boards lightly sunned at foredge, some scratches on boards, quarter inch chips across head and tail of spine and small chips at printed label w/o loss of print. Four inch closed tear at top of front joint and small cracks at tail with a couple of small chips at about middle of spine. Block with some pages uncut and unopened. Both blocks are slightly age toned not affecting images. Pages 517 and 518 , imprint page and two free back endpapers with closed tear of one and a half, respectively three inch tears at top. 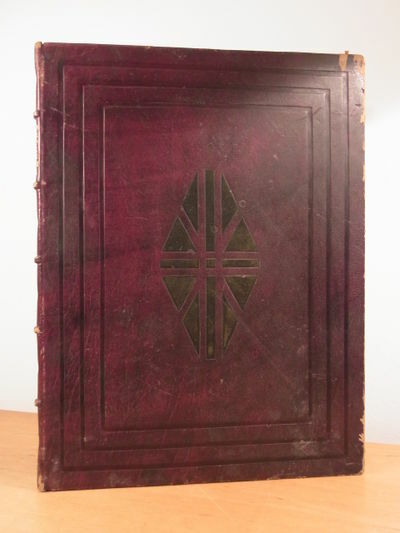 Binding in overall good-, interior in good+ to very good condition. New York: Provincetown Players, 1921.(). Three programs from the Provincetown Players' eighth season, during which they mounted six bills. Each 8vo. Second Bill is 5.75 x 9 inches. Others are 6 x 9 inches. pp. folded Japanese style. Cover linocut by either William or Marguerite Zorach; signed Zorach in the plate. The Second Bill featured Theodore Dreiser's "The Hand of the Potter: A Tragedy in Four Acts." The Fourth Bill presented "Mr. Faust: A Play in Four Acts" by Arthur Davison Fiske. The Sixth Bill put on "Chains of Dew," A Comedy in Three Acts," by Susan Glaspill, one of the founders of the troupe. All stage sets were by the innovative designer Cleon Throckmorton. Each program includes list of cast members and their roles, and description of the scenes. Fragile, printed on acidic paper. The sheets for the Second Bill have become detached, but all are present. The other programs are intact, though the pages are brittle, with slight chipping around the edges.With these defects, still in Very Good condition. These programs are scarce. Richmond: the Hogarth Press,, 1921. With woodcuts by Vanessa Bell. Octavo. 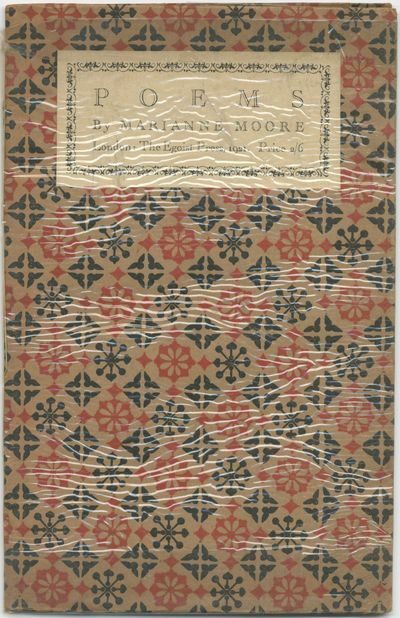 Original quarter brown cloth, paper-covered boards, black and white woodcut to front cover designed by Vanessa Bell. With 4 full-page woodcuts by Vanessa Bell. A fine copy. First edition, first impression. 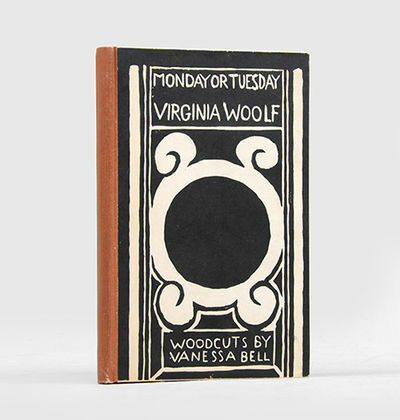 Woolf was concerned about the quality of Monday or Tuesday and what its critical reception would be, and wrote in her diary on 6 March 1921 that "Nessa approves of Monday or Tuesdaymercifully; & thus somewhat redeems it in my eyes". One of 1,000 copies of this collection of short stories. South With Scott ... With Diagram and Three Maps. London and Glasgow, Collin, . 8vo (212 x 136mm). 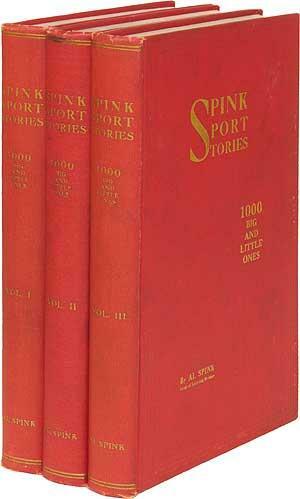 Original dark blue cloth, lettered in red-orange on the spine within red-orange rules; pp. xiv, 283, [6, advertisements]; photogravure portrait frontispiece with tissue guard, 3 folding maps and folding plan; light bubbling to upper quarter of spine (as noted by Rosove to be frequently the case), uncut edges with light foxing, as well as offsetting from browned fly-leaves to a few adjacent pages (as usual), otherwise an internally clean and fresh copy; neat contemporary ownership inscription on front paste-down. First edition, second impression (in the same month as the first, November, 1921) of a classic of Antarctic exploration, very rare, a good copy. Spence 432; Renard 496 ('One of the most reprinted Antarctic books, but in this First Edition one of the rarest and most elusive'); Taurus 83; Rosove 117.A1 (our copy is absolutely conform with her description); Taurus Collection 83 (this issue, 'many editions ..., most of which were heavily used'). Paris and Wiesbaden, 1921. Eight single leaves, some folded. Very good, with exception of one letter, with tear and some loss to text. The son of Lev Tolstoy, Lev L'vovich Tolstoy was a firm believer in his father's ideals in his youth, but later became increasingly opposed to his philosophical and ethical ideas. He studied sculpture with Rodin and tried, without success, to become a published writer, as well as writing about his childhood and impressions of his father. In 1918 he emigrated, living in Paris before eventually settling in Sweden. The letters included here date to a period when he wrote articles on his father and was making a difficult living as a journalist. Among other things, they contain his negative reaction to his mother's memoirs, discuss his own writing and plans to publish his recollections, and detail his financial woes. "Je prends la liberté de vous envoyer pour le Figaro un article littéraire, souvenirs personnels sur mon père et deux de ses nouvelles. Vous me rendriez un grand service en les publiant le plus tôt possible, car hélas je dois exister du journalisme." - "Je me permets de vous envoyer ci-jointes quelques pages sur la nouvelle posthume de mon père Le Diable. Je parlais de cette œuvre dans un article sur la Sonate à Kreutzer, qui a été publié dans le Journal, mais la rédaction n'a pas voulu publier ces pages qui sont pourtant intéressantes. Peut-être pourrez-vous en faire usage en les publiant dans le Figaro ensemble avec le chapitre qui parle des ouvrages de Tolstoï pour le théâtre [...] Je vous suis très obligé pour l'aide que vous m'avez donnée pour la publication de mes souvenirs ainsi que je remercie Monsieur Robert de Flers pour l'article qu'il a publié dans le Figaro. [...] Maintenant, comme je suis sans argent à ce moment et le change est très déplorable pour notre séjour ici, je vous prierais d'avoir l'extrême obligeance de me faire envoyer ici 300-400 francs avec le premier courrier." - "Ma Vie c'est une ignoble escroquerie littéraire et il faut le dire carrément. Le publique est dupé. 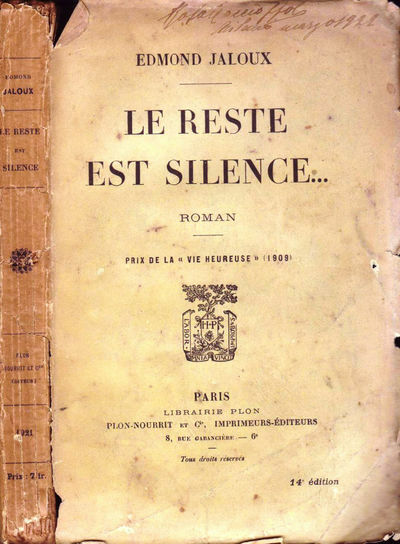 On achète ce petit livre croyant lire quelque chose de Tolstoï, sa vie, tandis que cela n'est qu'un récit d'une baba russe, un récit d'une langue russe magnifique, mais un rien comme intérêt [...] littéraire.". Wendingen. Special Number of the English Edition. Wendingen. Hardcover. Amsterdam, 1921. 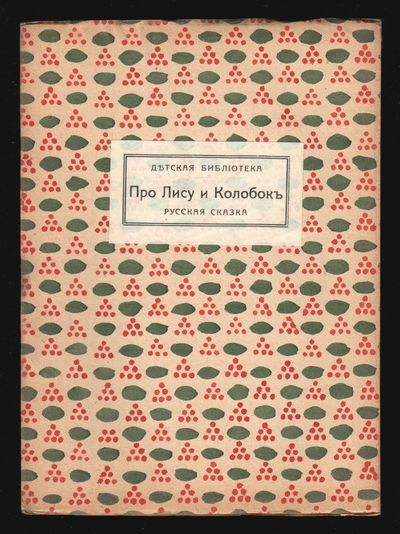 Folio, lithographic boards by El Lissitsky, 18 pp., string tied spine. Dedicated to the work of Frank Lloyd Wright, with black and white photographs of Wright's work. A good only copy, with some stains to front cover, staining to margins, one margin repaired and front joint split. Remains reasonably attractive, with contents bright despite these flaws. This English-only hardcover edition is far more difficult to find than the Vol. 4 No. 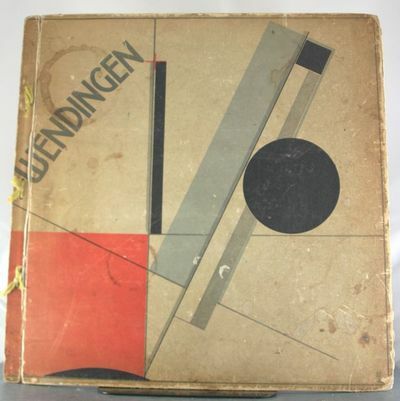 11 issue, which also had lithographic covers by Lissitzky. Not included in the Sweeney bibliography of Wright. OCLC 80267899, with one publicly held copy at the Columbia University Library. . Good. 1921. First Edition. Castles In The Air. Being the Adventures of M. Hector Ratichon. [Photo Album]: Navy World War I.
Maryland, 1921. Very Good. Oblong folio. Measuring 12" x 16". String-bound black paper album. Contains 333 sepia-toned or black and white silver gelatin photographs measuring between 1" x 1" and 3" x 12", with captions. 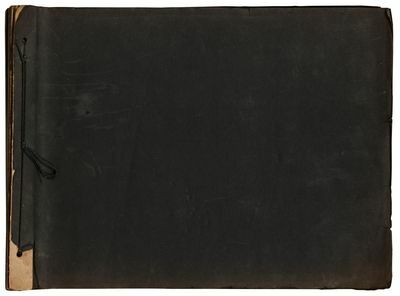 Very good album lacking the boards with tiny tiny on the page edges with near fine photographs.A photo album kept by a young American Navy seaman during World War I. The album is not completely in chronological order and jumps between 1917 and 1919 throughout it. It appears that the compiler was going to Annapolis as some of the early photographs show buildings on their campus and men in participating in "June Week." He captions the first page, "My First Port" which details the town surrounding West Point showing his family, friends, and fellow cadets as well as a Boy Scout troop he was involved with. One of these photos is a combination of three images to make a panorama of the town. Images from the early pages show men on the rifle range, military ships off the coast of Maryland including some with dazzle camouflage, and a photo of a young cadet with the caption, defenders of our nation." Men are also photographed in their formal white uniforms walking on a dock and posed for a portrait. After he was officially in the Navy the seaman went to Guantanamo and the Virgin Islands. Here he photographed the U.S.S. Craven, the U.S.S. New York, and the U.S.S. Hancock as well as fellow seaman on the deck of a ship and local people in the ports they stopped in. St. Thomas is the first large section of photos from this time. Here he captures Horseshoe Beach, children he captions, "cha-chas," and men firing a canon. Many of the photos show men working on a ship scrubbing the deck and procuring coal for the ship. The next section of photos shows the men going through Panama with images of the lock mechanisms used in the canal and the ship docked in Balboa. Following these images are photos from Moana and Waikiki in Hawaii which include a grass skirt clad woman named "Gertrude." Photos from Hawaii also include surfers, spear fisherman, and well-to-do visitors to the islands. One photo is captioned "Hawaiian Chink" and shows a local man walking down a road. After Hawaii the man was sent to California and photographed Alcatraz and location around Oakland and Berkeley while on leave. They traveled south to San Diego where they visited the Panama--California Exposition and photographed the buildings from the exhibit. After California the seaman was sent again to Panama followed again by Hawaii where he continued photographing Navy ship as well as local people and scenes. One photo from this time is captioned "at sea" and shows a line of navy cruisers sailing with coal smoke billowing from their smoke stacks. He captured a bull fight in Panama and a military parade at a stop in Seattle. He also includes group photographs of his unit as well as images of himself posed with women "week-ending." He was then sent on a "First Class Cruise" to Norway where he photographed the Fjord, the Norway-Sweden Navy men he encountered, and local women and children. This was followed by a trip to Gibraltar where he spent time with "Tommies." One photo shows a group of men on a ship with cameras pointed at the photographer. The seaman stayed with the Navy through the war and into the early 1920s.A wonderful collection of well-composed military photography encompassing years of a Navy seaman's service through World War I and after. WALSH'S CHARLESTON, SOUTH CAROLINA, 1921 CITY DIRECTORY. This Directory puts its Residents in Two Sections, White Residents in the "WHITE DEPARTMENT" and Black Residents in the "COLORED DEPARTMENT". Makes this Charleston Directory a True Document of the JIM CROW SOUTH that tried to completely separate the races. Published by the Walsh Directory Company, Charleston, South Carolina, 1921. This is the Original, Vintage Directory published in 1921, in the midst of the JIM CROW YEARS. 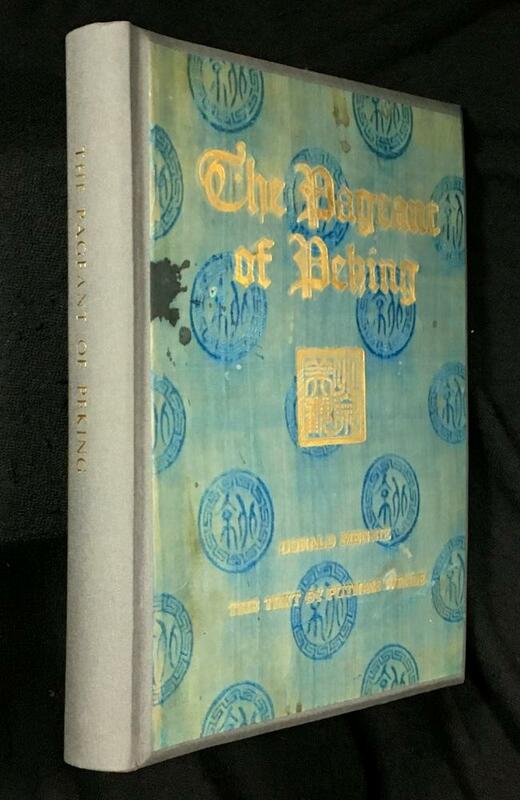 Original hardcovers, printed blue cloth covered boards and red cloth spine, 6x9.5 inches, thick volume, 885 pages. The WHITE residents section is 443 pages (numbered 183 to 625), the COLORED residents section is 203 pages (numbered 627 to 830). The Directory also has a Street Directory and a Classified Section. Contains numerous advertisements of the day. These directories were published as advertising vehicles so ads are everywhere, including the covers and stamped on the page edges. 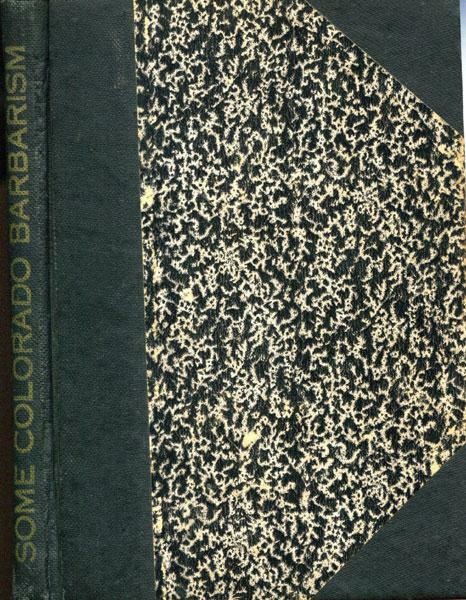 This volume was part of the amazing SUTRO GENEALOGICAL LIBRARY of SAN FRANCISCO, CALIFORNIA. There is a Sutro Library bookplate on the front pastedown, and Sutro Library ink stamps and associated library marks and stamps here and there throughout. The Sutro Library was (and to a large part still is) a treasure trove of genealogical books collected by Adolph Sutro and donated to the City of San Francisco. The collection was pretty much neglected by the City until, in 2012 the City gave the collection to the library of San Francisco State University. Before and after the move to SFSU, quite a few volumes from the Sutro genealogical library were, sadly, deaccessioned, so that the collection would fit it into its new space. In its new home the Sutro Library is still considered to have the best genealogical collection west of Salt Lake City, and is now much better cared for, it's just not as large as it was. Once these wonderful deaccessioned Sutro genealogy books find new homes they will likely not be seen again for some time. 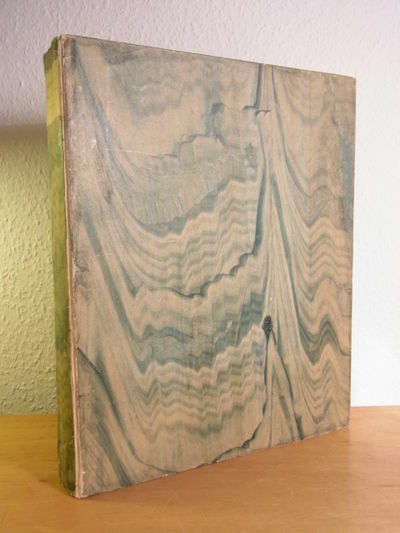 CONDITION: The spine covering is worn and fraying at its ends and its gilt lettering has mostly faded away, the boards have some edge and corner tip wear but remain bright and attractive; internally, the front and rear inner hinges are split but holding, the first and last few pages have some edge wear including some closed tears and small edge chips, there are a few small previous owner's marks here and there, otherwise just lightly used and still tight, bright, clean and clear. Overall a solid, nice copy of this ORIGINAL 1921 CHARLESTON, SOUTH CAROLINA DIRECTORY from the Jim Crow South. About the SUTRO LIBRARY (from where this book was deaccessioned): ******The Sutro Library holds the original collection of Adolph Sutro (1830-1898), California businessman and San Francisco mayor. The library has a large collection of publications and items dating from the 13th to the 21st centuries. It also has one of the largest genealogy collections in the U.S. Adolph Sutro's heirs donated his collection to the California State Library in 1913 with the requirement that the collection stay within the city of San Francisco. After operating in various locations in the city for almost 100 years, the Sutro Library moved to a permanent home at San Francisco State University in 2012. ****** INTERNATIONAL BUYERS PLEASE NOTE: This book is thick and heavy and will require additional shipping charges. After placing your order you will be notified of the additional charges and be able to accept or reject them before your payment is processed. Or you can contact us ahead of time to find out the shipping charge to your country. Thanks. Good. Heemse. Hof- bosch- en veldzang. In vier zangen. Utrecht, Wed. J. van Schoonhoven, 1783. 8º (22,3x14cm): pi1 * 4 A-H 8 I 4.Pagination:  + 8 + 134 +  pp.Cardboard binding. Spine damaged on top and bottom. Placed within decorated slipcase, clad with red leather. 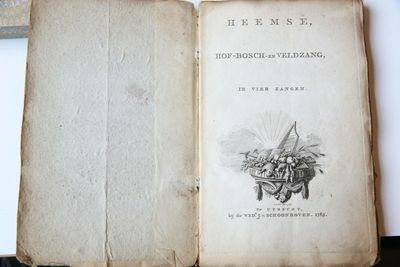 Engraved title page with vignette by J. de Wit Jansz. and four headpiece vignettes after drawing by D.S. v/d Laan with images of the 'Huis te Heemse' and its environment. Lit: Anema, Een vergeten dichteres uit de achttiende eeuw (Clara Feyona van Sytzama) (Amsterdam 1921); Van Raesfelt van Sytzama, Heemse. Hof- bosch- en veldzang. Heruitgave met inleiding en aantekeningen door K. Oosterkamp (Hardenberg 1990); Van Veen, De soeticheydt des buyten-levens, vergheselschapt met de boucken. Het hofdicht als tak van een georgische literatuur (Den Haag 1960). - Original program from a May 17, 1921 performance of the Ballets Russes at the Gaite Lyrique, Paris. The evening's program featured Stravinsky's L'Oiseau de Feu, the new ballet Chout (Le Bouffon) with music by Prokofiev and decor by Michel Larionov, a suite of traditional Spanish dances titled Cuadro Flamenco with decor and costumes by Picasso, and the company favorite Danses Polovtsiennes. The color cover features a group of female nudes by Picasso; the contents also include portraits of Stravinsky and Prokofiev by Picasso and Henri Matisse, as well as a two-page color spread of designs by Larionov for Chout, and portrait drawings by Juan Gris. pp. Bound with staples and yellow cord. Some fading and wrinkling to the covers, with staples rusting and some internal smudging; overall in very good condition. 9.5 x 12.5 inches (24.5 x 32 cm). "Two new ballets were premiered during the Ballets Russes's May  season at the Théâtre Gaîté-Lyrique, Paris: Chout and Cuadro Flamenco. Cuadro Flamenco was not performed by dancers from the Ballets Russes but by traditional Spanish dancers." (Library of Congress, "Timeline of Ballets Russes," www.loc.gov).Chout, written in two versions between 1915 and 1921, was Prokofiev's first completed ballet score for Sergei Diaghilev. 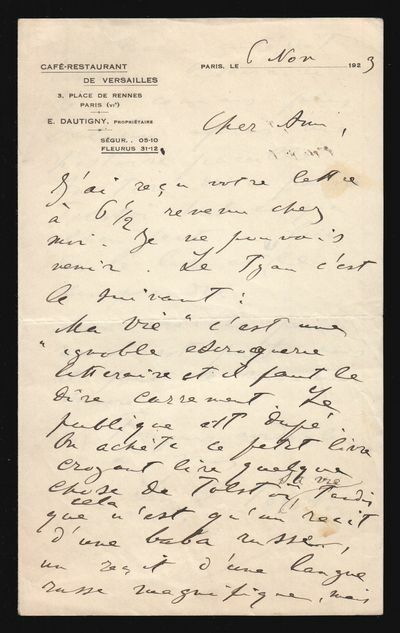 Diaghilev had first commissioned Ala and Lolli, but rejected the score submitted by Prokofiev. Although the composer recast some of the music as the Scythian Suite, the projected ballet never saw the light of day. Instead, Diaghilev now asked Prokofiev to write a ballet based on a folk tale recorded by Alexander Afanasyev. The story had been previously suggested to Diaghilev by Igor Stravinsky as a possible subject for a ballet, and Diaghilev and his choreographer Léonide Massine helped Prokofiev to shape this into a ballet scenario. Berlin: Verlag Otto von Holten, 1921. Übertragung aus dem masoretischen Text und Druckleitung von Lazarus Goldschmidt. Mit 17 Holzschnitten von Wilhelm Schocken, davon sechs Stück ganzseitig und von Schocken mit Bleistift signiert. Erschienen in einer numerierten Auflage von nur 105 Exemplaren, von denen 90 für den Handel bestimmt waren, hier vorliegend das Exemplar Nr. 14. Großformatiger geprägter Lederband, Buchrücken mit Golddruck und fünf Bünden, 13 Blatt mit Goldkopfschnitt und Lesebändchen. Einband etwas berieben. Gutes sowie in Text und Bild sauberes Exemplar dieser überaus seltenen Ausgabe. 20 volumes, set. Signed, limited edition. #214 of 780 sets (750 for sale and 30 for presentation). 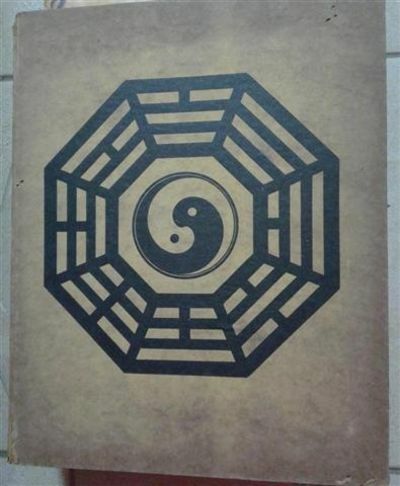 Original beige cloth with paper boards. Fore edges untrimmed. Partially unopened. 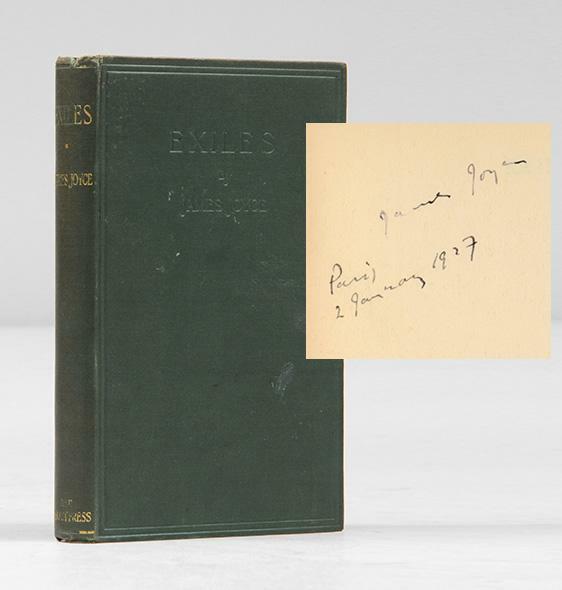 Signed by the author on the limitation page of volume 1. No dust-wrappers. Otherwise a near fine, complete set.18 volumes were published in 1921. 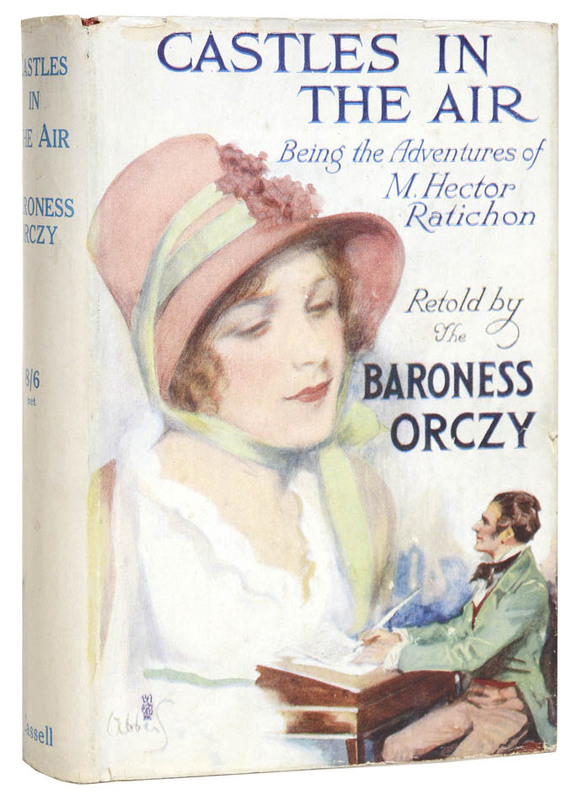 After Conrad's death in 1924, volume 19 was issued in 1926 and volume 20 in 1927. This is the complete edition. Signierte Luxusausgabe - Friedrich Dürrenmatt - Dürrenmatt, Friedrich und Christian (Hrsg.) Strich. 120 bedruckte Seiten, 62 Bildtafeln. 4, gebundene Ausgabe, Original-Halbpergament-Einband mit Goldprägung am Buchrücken in Orignalschuber. der Schuber minimal lichtschattig und berieben sowie am Einschub ca. 2,5 cm eingerissen, das Buch wie neu, diese einmalige Luxusausgabe ist in einer Auflage von 200 in Halbpergament gebundenen Exemplaren erschienen. 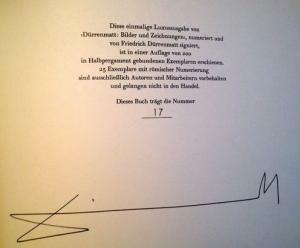 Diese Buch trägt die Nummer 17. Friedrich Josef Dürrenmatt (* 5. Januar 1921 in Konolfingen + 14. Dezember 1990 in Neuenburg) war ein Schweizer Schriftsteller, Dramatiker und Maler. Weltruhm erzielte er 1956 mit der Komödie "Der Besuch der alten Dame". SIRAK SKITNIK, Gestaltung; Khrastyo Petrov SARAFOV: Krastyo Sarafov. Sbornikŭ po sluchaĭ 30-godishninata mu stsenichna deĭnost ([Text-]Sammlung anlässlich seines 30-jährigen Bühnenjubiläums). Hg. unter der Leitung von Stilyan H. Chilingirov. Mit 20 Fototafeln. Umschlag und 9 Vignetten im Text nach Gouache- oder Tuschezeichnungen von Sirak Skitnik. Sofia: (Dŭrzhavna pechatnitsa (Staatsdruckerei) 1921. Lex-4°. 116 [4 (Inhaltsverz.) S., 20 Taf. Originale, mit 2 Klammern geheftete Broschur aus gelbem, dünnem Papier, mit schwarz illustriertem Umschlagtitel. Erstausgabe dieser Festschrift mit 25 Texten verschiedener Autoren (u.a. von Hg. Chilingirov) zu Ehren des 30jährigen Bühnenjubiläums des Schauspielers Krastyo Petrov Sarafov (1876-1952). Sarafov zählt zu den bedeutendsten bulgarischen Mimen in der 1. Hälfte des 20. Jh. und war langjähriges Ensemble-Mitglied des Nationaltheaters. 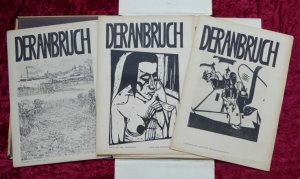 Als solches stand er auch in regem künstlerischem Austausch mit Vertretern der bulgarischen Kunst- und Literaturavantgarde, z.B. mit Dechko Uzunov, der als Bühnen- und Kostümbildner am Nationaltheater wirkte. Auch mit Sirak Skitnik, dem Gestalter dieses Bandes und zwischen 1922 und 1924 auch Dramaturg am Nationaltheater, arbeitete Sarafov zusammen, darüber hinaus waren die beiden seit der gemeinsamen Petersburger Studienjahre auch befreundet. Vorliegende opulente Hommage an Sarafov besticht nun vor allem durch Sirak Skitniks Umschlagillustration, die in der besten expressionistischen Manier dieser frühen Jahre seines avantgardistischen Schaffens gehalten ist. Der in ein strahlendes Arrangement von Linien und geometrischen Elementen gebettete Kopf einer Frau mit Augenmaske erinnert in seinem expressionistischem Gestus an zwei von Sirak Skitniks Schlüsselwerken der ersten Sofioter Avantgarde, die farbigen Linolschnitte zu Mutafovs »Marionetki« (1920) und die Gouachen zu Trayanovs »Bulgarische Balladen« (1920). Die 9 Vignetten im Text schließen an diesen markanten Stil an. Umschlag an Kopf- und Fußende des Rückens mit minimalen Fehlstellen und leicht eingerissen, ebenso an der vorderen Seitenkante, insgesamt etwas fleckig und geringfügig berieben, innen stellenweise gering fingerfleckig, sonst gut erhaltenes, großteils unaufgeschnittenes Exemplar dieser elegant breitrandig auf Dünndruckpapier gedruckten Publikation, wie die meisten von Sirak Skitnik illustrierten Titel selten angeboten und gesucht. Jacono 4 (Marionetki), 5 (Bulg. Balladen); Plamen V. Petrov et al. : The Visual Artists of The National Theatre of Bulgaria 1904-1954. Catalogue of the exhibition. Sofia: 2014, P. 213. Paris: J. Povolozky, 1921. Octavos (18.5 × 13.5 cm). Original decorative wrappers pasted over blind self-wrappers (as issued); 8 pp. Wrappers illustrated with five variant pochoir patterns. Numerous small vignettes in the text. Very good. Russian fairy tale printed for children of Russian émigrés in France, with illustrations by the ten-year-old Zhenya Kovarskaya, the daughter of Ilya Kovarskii and Lidiia Kovarskaia, an editor-and-publisher duo which had left Soviet Russia in 1919. Each of the five copies features a variant wrapper, decorated by hand using different patterns, most likely using the pochoir technique. Given small irregularities, it appears likely that this work was also carried out by children. 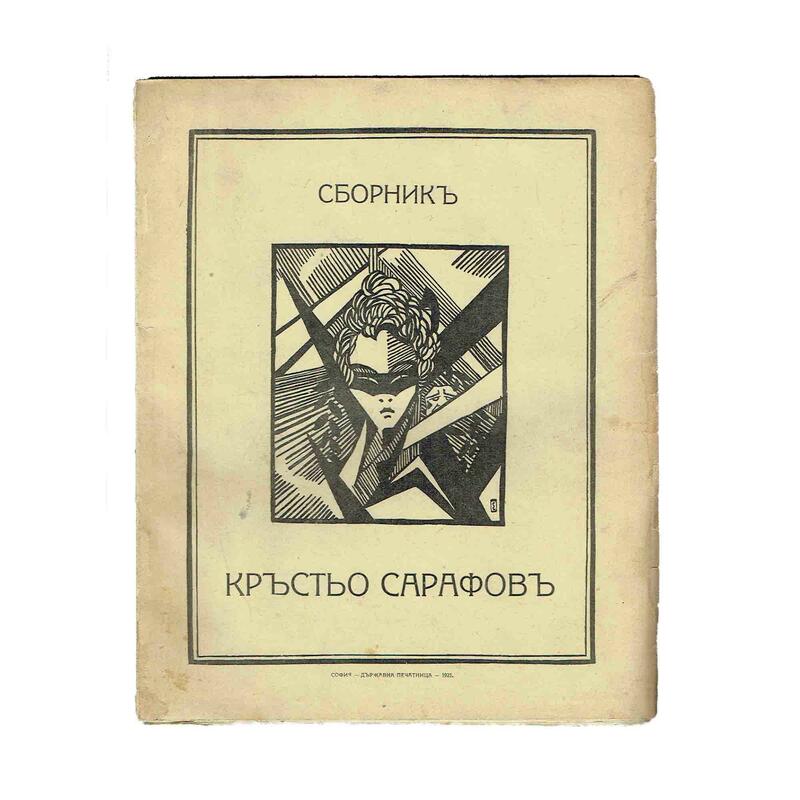 The publisher, J. Povolozky, ran a gallery in Paris in the 1920s and was known for his collaboration with Russian avant-garde artists Mikhail Larionov and Natalia Goncharova. KVK, OCLC show copies (one each) at NYPL, Princeton, Stanford, and UNC Chapel Hill, without specifying which of the wrapper variants are held. Not at the Russian State or National Library. Not in Savine. Widmungsexemplar - Heinrich Mann - Mann, Heinrich. 142 (1) Seiten 8, gebundene Ausgabe, Hardcover/Pappeinband das Buch völlig neu gebunden, einschließlich Vorsatz, der Vortitel stockfleckig, auf dem fliegenden stockfleckigen Vorsatz zweizeilige Widmung des Autors, signiert und datiert (4. Febr. 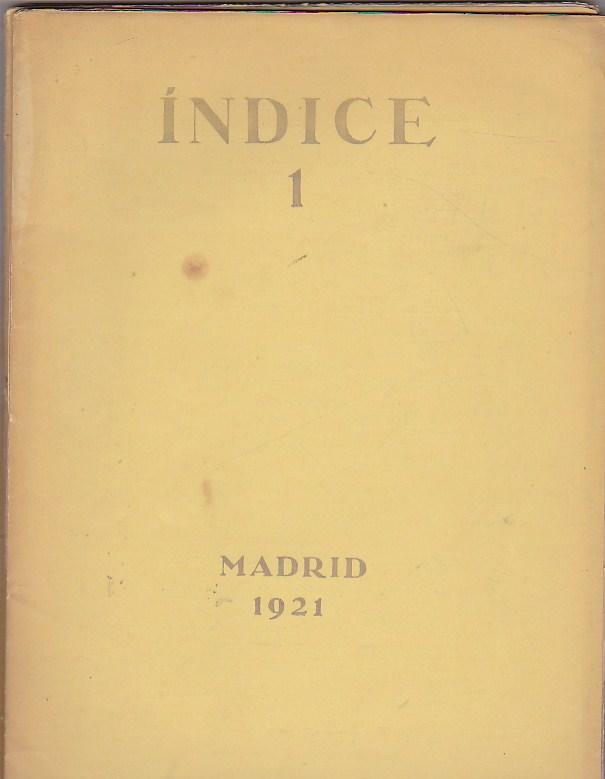 1921). Signaturen Heinrich Manns sind um ein Vielfaches seltener als die seines Bruders Thomas. Luiz Heinrich Mann (* 27. März 1871 in Lübeck - + 11. März 1950 in Santa Monica, Kalifornien) war ein deutscher Schriftsteller und der ältere Bruder von Thomas Mann. Hagen , 1921. Paperback. UsedGood. China: Das Land der Mitte/Der Tempelbau Band 1. Some dust/dirt on page edges from long-term storage. First edition. 8vo., original decorated boards, brown cloth spine. Richmond, The Hogarth Press.